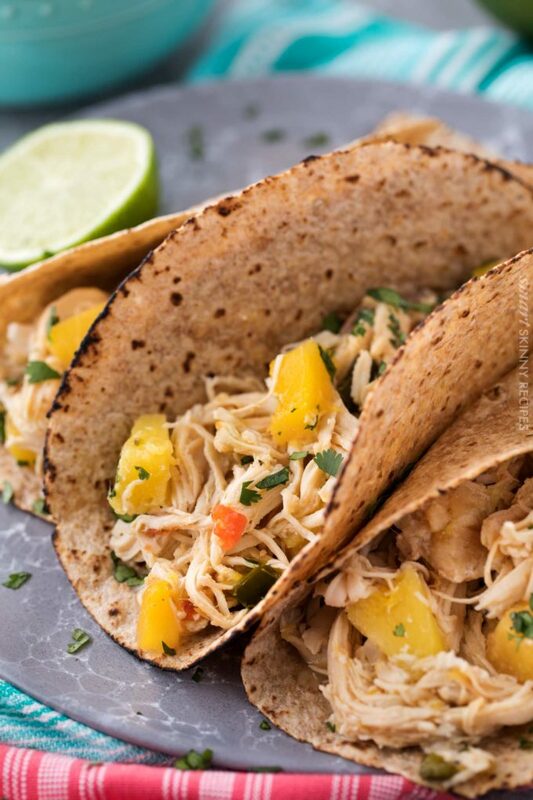 Deliciously sweet and spicy, these crockpot chicken tacos are full of great mango pineapple flavor. At only 1 weight watchers smart point per serving, they’re perfect for a healthy take on taco night! Taco night is a great family tradition, but can be a little on the unhealthy side. 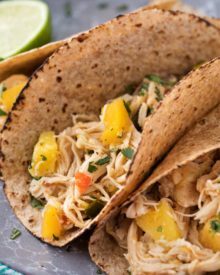 These mango pineapple chicken tacos are made easily in the slow cooker and are super healthy… only 1 smart point per serving! Do you have an all-time favorite type of food? 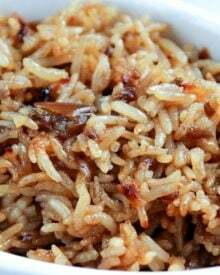 That one kind of food that you are ALWAYS in the mood for? 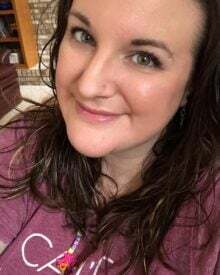 For me, much to my husband’s dismay, it’s Mexican food. Burritos, taquitos, enchiladas, empanadas, chimichangas, nachos, tacos and more! I’m totally craving some Mexican food right now lol. As much as I love it, I know it’s not generally the healthiest food around. But not these chicken tacos! Using Weight Watchers new freestyle program, they’re only 1 smart point and under 180 calories per serving (not including the wrap). I love that these are so good for you, so I can have an extra taco or two, and I don’t have any of the guilt! You can really make chicken tacos a number of different ways, but my favorite way is to make them in the crockpot, so the chicken shreds beautifully! To keep the point value low, we’re using boneless, skinless chicken breasts, which don’t take all that long to cook. 5-6 hours on low or 2-3 hours on high is all you need! That’s totally up to you! I purposefully didn’t include tortillas in the nutritional information, as they can vary quite a bit from type to type. Alternately, you can wrap these chicken tacos up in a lettuce wrap, which adds no point value. If you wanted to, you could omit the brown sugar from the recipe, and then these chicken tacos would be zero points. ZERO. How awesome is that? I love the extra bit of sweetness the brown sugar adds, but it’s definitely not 100% necessary. 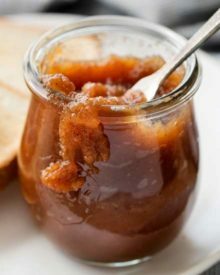 Omitting the brown sugar and the granulated sugar means that nearly all the carbohydrates/sugar in this recipe would be coming from the fruits and vegetables, so they’d be natural sources of sugar. 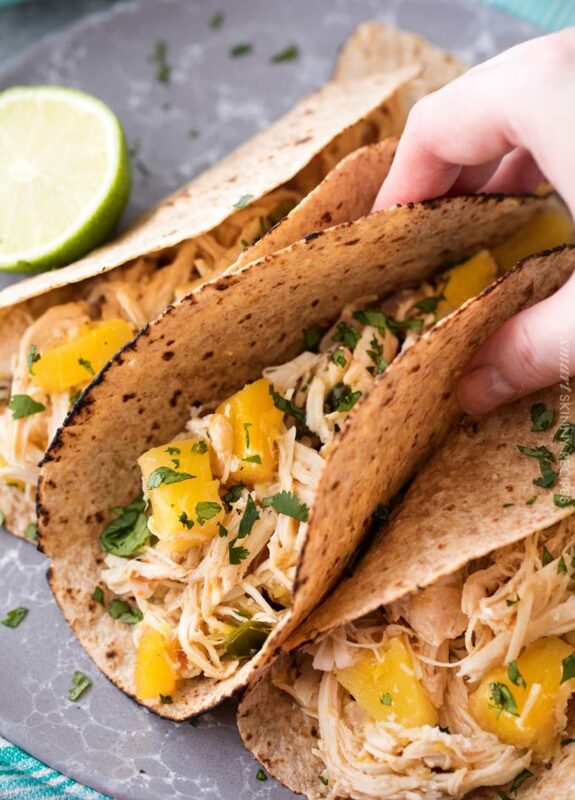 Want to try these Crockpot Chicken Tacos? 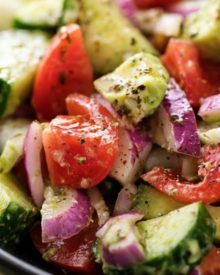 PIN IT to your HEALTHY or CHICKEN board to save for later! 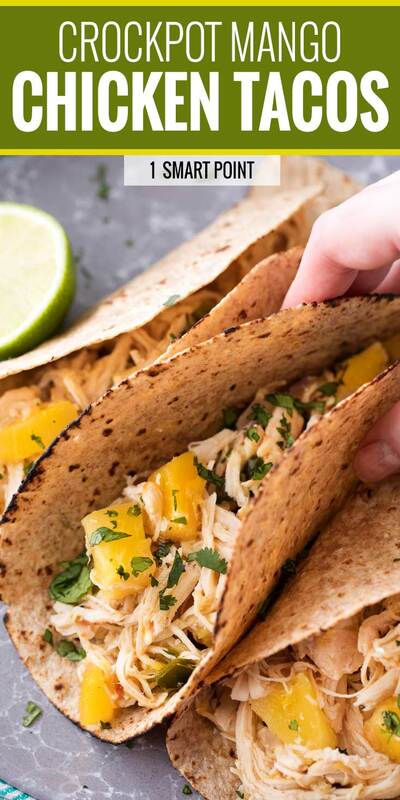 Deliciously sweet and spicy, these crockpot chicken tacos are full of great mango pineapple flavor. 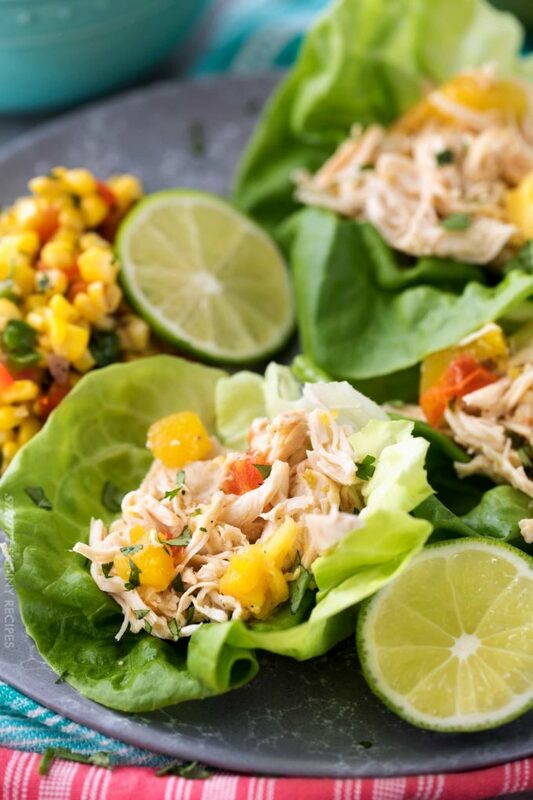 At only 1 weight watchers smart point per serving, they're perfect for a healthy take on taco night! Place chicken in 6 qt slow cooker and season with salt, pepper, and brown sugar. 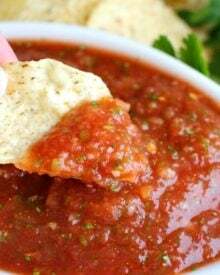 Combine mangoes, pineapple, tomatoes, red onion, poblano pepper, jalapeno pepper, green onions, lime juice and sugar in a mixing bowl and toss well to combine. Add to slow cooker on top of chicken in an even layer. Cover and cook on LOW 5-6 hours until chicken is tender and easily shreddable. 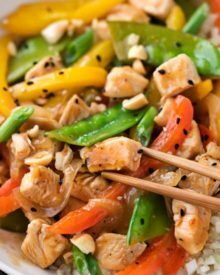 Remove chicken and shred, using two forks. Strain cooking juices in slow cooker, reserving the mango mixture and saving 1/2 cup of the juice. 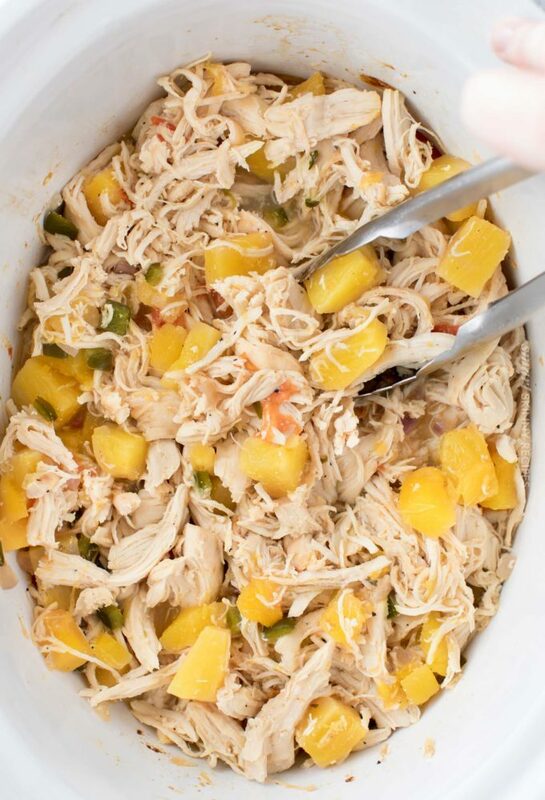 Add shredded chicken, reserved mango mixture and 1/2 cup cooking juice to the slow cooker. Serve by itself, in tortillas, or lettuce cups. Complete instruction steps 1-3, and combine shredded chicken, reserved mango mixture and 1/2 cup cooking juice in several freezer containers. Allow to cool completely, then freeze, covered, for 1-3 months. 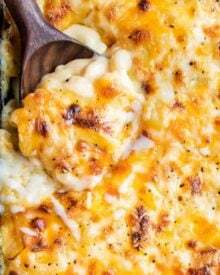 Thaw overnight in refrigerator, then cook through either in a slow cooker or large pan on the stove. You may need to add a splash of chicken broth as the chicken reheats. Taco Tuesday just got way better with these babies! What a terrific flavor combination, these sound delicious! Mmmmm this looks so flavorful! I love sweat and savory things like this! I love the combination of flavors! This is definitely a must-make! 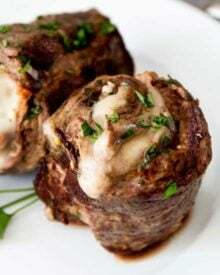 These look amazing and so easy! I love anything with mango!